We didn’t realize child actor Natalie Wood was such a scene-stealer. In Miracle on 34th Street, one of her first starring roles, nine year-old Wood plays a cynical girl who meets a department-store Santa (Edmund Gwenn) who may or may not be the real St. Nick. Wood is charming and convincing here, but it wasn’t until we recently saw this film on the big screen that we realized how truly funny she is. Her eye-rolling at adults, for example, projects greater significance when her face is approximately 20 feet high. 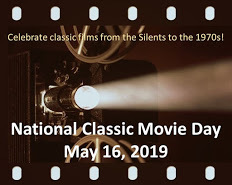 The best thing about watching a classic film in the theatre is the opportunity to decompress a familiar story we’ve seen numerous times on television. A narrative that is easily three times your height yanks you into its world. We notice new-to-us details in the costumes and sets, but we also experience the film in a way we hadn’t anticipated. For example, there is one brief scene where an inebriated woman reclines on a couch, sipping martinis. As she is handed a fresh glass, she removes the olives and sets the toothpick on the arm of the couch…beside seven other toothpicks. The camera deliberately lingers to give us time to calculate how many drinks this woman’s had. a drunk Santa who passes out on a float just before the Thanksgiving Day Parade. an angry Santa who strikes someone over the head and knocks them out. a depressed Santa who sits slumped in a bathrobe in a mental institution. What role do faith and reason play in our lives? Who has the authority to say what is sane and what is not? It’s no ordinary movie, this. Writer/director George Seaton has given us a smart script that’s unafraid to ask thorny questions, but also knows when to interject humour before things get too sticky. For example, during a courtroom hearing that will determine Gwenn’s sanity, the prosecutor (Jerome Cowan) discovers his young son has been subpoenaed to appear on the stand. We the audience can smell a set-up; at some point Cowan will have to ask this feisty kid who told him Santa Claus was real. Seaton isn’t above toying with our emotions. There’s a scene where Gwenn meets an orphaned Dutch girl, recently brought to the United States. The girl has limited English skills, so he speaks to her in her mother tongue. Seaton captures such a genuine expression of joyful surprise on the girl’s face, it almost brings you to tears. Much of the holiday fare produced by Hollywood in recent years feels shallow and trite when compared to films like Miracle on 34th Street. This film is a classic – and deserves to be – because of a thoughtful script and a nine year-old Natalie Wood who, in her way, guides us through some perplexing questions. Miracle on 34th Street: starring Maureen O’Hara, John Payne, Edmund Gwenn. Written & directed by George Seaton. Twentieth Century-Fox Film Corp., B&W, 1947, 95 mins. It’s intriguing the different perspectives one can gain from watching a movie on the big screen. As many times as I’ve seen THE WIZARD OF OZ (including in 16mm), I noticed a couple of different things when seeing it in IMAX earlier this year. As for 34TH STREET, I can imagine that NYC does come across as grittier. I thought Natalie was a fine child actress. This is my fave Natalie Wood movie. She is SO funny in this film – and cute, too, without being overly ” movie cutesy”. I really wanted to see the re-release of “The Wizard of Oz” in IMAX but, sadly, it wasn’t meant to be. However, it’s very encouraging to see the classics are being re-released and shown on the big screen. That scene when Santa Claus speaks to the little dutch girl always reduces me to tears! Me too! It’s a wonderful moment in the film. One nice picture with Natalie as a child actress is the Claudette Colbert film called Tomorrow Is Forever. A gut wrenching movie with intense and moving dialogue by Colbert and Orson Welles. This is one movie that never leaves my top 10 essential film list. That is one I’ve not yet had the chance to see, but I can only imagine how really good it is. Ruth, I admit I came into MIRACLE ON 34th STREET last year, and it’s touched my heart (I got weepy, I admit it) and tickled my ribs ever since! I was also impressed with Maureen O’Hara (she’s one of Team Bartilucci’s favorites) being a strong single mother back then; gotta wonder what a rat her ex must have been to make divorce an option back in those days. Jerome Cowan (who we always think of as Miles Archer in THE MALTESE FALCON) cracked me up in the courtroom scene! You’re a lucky gal, my friend, having seen MIRACLE ON 34th STREET in a real movie theater as the movie gods intended! BRAVA to you on your splendid post, and enjoy the rest of your holiday and a week and the impending New Year! Jerome Cowan is perfect in that role, isn’t he? The courtroom scene would not be half as good if they had cast someone else. He’s funny yet still credible as a prosecutor. This film is a total home run for so many reasons, and certainly little Natalie is one of them. She is so anti-Shirley Temple, you just want to hug her. Of course, having Mr. Payne as a neighbor would put the Merry in anyone’s Christmas! Ha ha! She is kind of anti-Shirley, isn’t she? I never thought of her that way. And yes, Mr Payne would be a welcome addition to any neighbourhood. Miracle on 34th Street is one Christmas movie I have only seen clips of. I almost feel like I’ve seen it because of all the clips, but haven’t sat down and watched the entire thing from beginning to end. Mostly it is because of all the busyness during the holiday season that I just haven’t done it. You have given me motivation to give it the attention it deserves. Thanks for that. I hope your holiday was great one, Ruth! Yes, it’s true that some of these movies are shown only during the busiest time of the season. But if you have a chance next year, promise me you’ll put your feet up with a cup of cocoa and take a couple of hours to just enjoy this one. It’ll be worth it! Great post on one of the all-time Xmas faves. Little Natalie does make a big impression and her frank and logical portrayal is one of the rare child performances not marred by being overly cute. I’ve noticed the phenomenon you speak of when it comes to seeing classic black & white movies on the big screen. For me, it’s the surprising added depth and texture of the image which I find so striking. It’s obvious that that’s the way all movies, even old ones, are truly meant to be seen. I completely agree with you about Natalie’s performance – she’s refreshingly cynical and logical, but when she starts to believe in Kris Kringle, she’s completely convincing. And through all of this, she remains a kid. It’s remarkable. You’re right about all movies needing to be seen on the big screen. The sets and costumes make it a very different experience. I’m old enough to have seen a few movies for the first time on a big screen that later ended up on television (The Graduate, Bonnie & Clyde, The Godfather I and II, Chinatown) – but the difference in the big screen vs. smaller screen viewing experience wasn’t obvious to me until relatively recently. It hit me over the head like a ton of bricks when I saw “North by Northwest,” a film I’d seen countless times on TV, in a theater for the first time. WOW! Completely different experience – and the onscreen magnetism/charisma/presence of Cary Grant was literally overwhelming. This is a lovely – and smart – reflection on one of the great holiday classics. Thanks, and Happy New Year! Oh wow – I would LOVE to see “North by Northwest” on the big screen. I have never seen a Cary Grant film in a movie theatre and I can well imagine it would be, as you say, overwhelming. I have to admit that you have enlightened me here and have given me many new things to think about concerning a film I have seen countless times. A fresh perspective is always a good thing. I too love this film, but never realized the darker side that is looming. I often do miss the darker side to these classics just because I have seen them so many times and I forget how they looked after my first viewing. I sometimes wish there was a way to see an old favorite again for the first time and perhaps the “classic series” at the theater is the best way to accomplish this task. Thanks, as always! I miss (or overlook) the darker side of these films, too. Do you think TV has a way of unintentionally sanitizing these movies? I’ve been thinking about that a lot since I saw “Miracle” on the big screen. I think seeing these movies on the big screen is, in a way, like seeing it again for the first time – only better. Thanks for dropping by! I think it might have something to do with my own attention span. On the big screen I have no distractions, where my living room (and the ability to pause) often keeps me from being as attentive as I should. I think I just need my own personal theater! A thoughtful piece, thank you for you hard work. Thanks for dropping by. It’s always a pleasure to spout off with my opinions. Never seen this, I must confess, though I have seen a remake with Richard Attenborough as Santa. I’m intrigued by the darker elements you mention here, though, and also by the fact that Natalie Wood is in it, as I’ve recently been catching up with some of her adult roles. Will hope to see this one, certainly by next Christmas! I’ve seen that remake, too, and I think Richard Attenborough makes a terrific Kris Kringle. But no one can hold a candle to Natalie Wood in that kind of role, in my opinion. Thanks for dropping by! I love the original. I watch it every Christmas. Excellent! I expect no less. I remember seeing the 1994 version a while ago and now I feel like I’m missing out by not watching the original! I’m guessing the 1947 version is a bit darker (although you do get that sense to a small extent in the newer one, too) — but I’ll have to watch it and see. I hope you get the chance to see the original. There are so many things to like about it – Maureen O’Hara’s strong female character, the scenes of New York and some very funny lines in the script. I know that Christmas has passed, but your post makes me want to watch this movie. I’ve never really seen it, not the whole thing, from beginning to end. I must give it a whirl before next December rolls around. 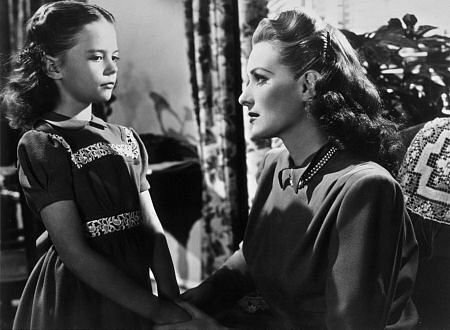 I saw Miracle on 34th Street but didn’t realize that was Natalie Wood. I almost became an entertainment blogger. Now I offer blogging tips. I also have blog parties like Donna.